Hi again, friends! 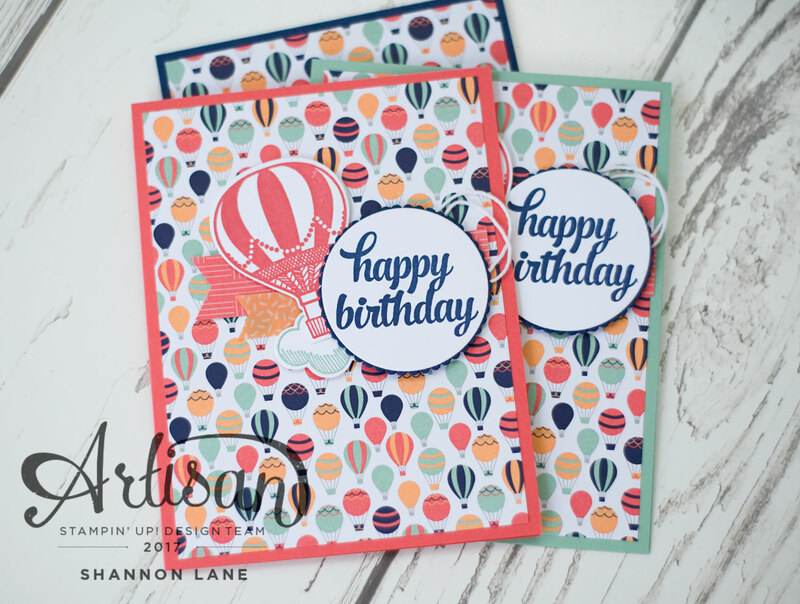 I'm stopping in again today to share another Sale-A-Bration goodie with you before it's gone! 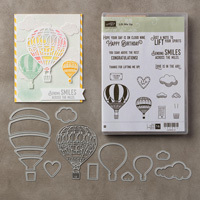 On deck today: Carried Away Designer Series Paper! This paper is so amazing for three big reasons - the prints, which are totally gorgeous, the amazing colour pallet, and the price: FREE! I never would've guessed to put these colours together, but they work SO beautifully. 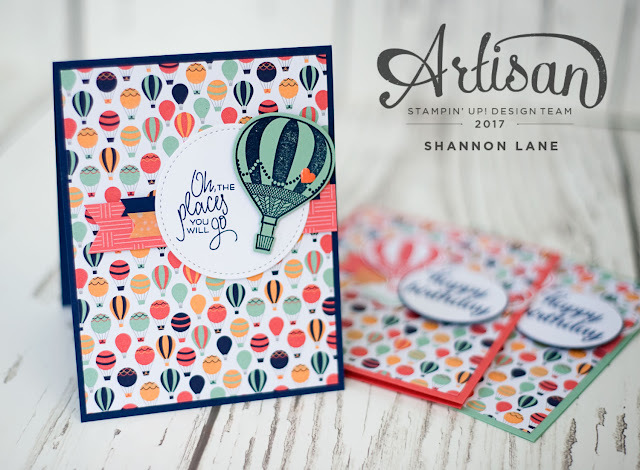 Plus both balloons and these colours are fabulously gender-neutral, so you can easily whip up some birthday cards by the dozen! 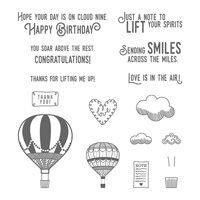 I used the same design as above and morphed it into a birthday card with a few simple changes - easy peasy! 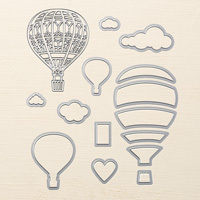 Again, this paper is absolutely FREE with your order of $60, but Sale-A-Bration ends on March 31 - don't miss out! It pairs perfectly with the Lift Me Up bundle, which is shown here as well - what a great combo! See you again tomorrow for another Sale-A-Bration goodie you won't want to miss! 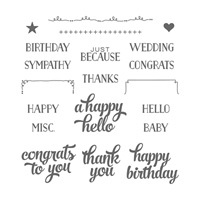 Click the links below to view the products used in this card.